On May 5, 2017, several Metro Center NYU College Prep Academy seniors joined others from the College Access Consortium of New York (CACNY) to celebrate with former First Lady Mrs. Michelle Obama their pursuit of higher education at the Public Theatre. MTV hosted 200 high school students with Nick Cannon as emcee and a star-studded event including appearances of Keri Russell, Bella Hadid, Jidenna, Michael B. Jordan, Zoe Kravitz, Robin Roberts to name a few. This is the 4th consecutive year that Mrs. Obama has celebrated College Signing Day. Mrs. Obama was joined by actors, singers, fashion models, athletes, Dj’s Radio personalities and theatre and movie stars who each congratulated students and offered personal words of wisdom genuine advice to motivate and encourage students to continue to reach higher. During the celebration, Mrs. Obama encouraged seniors to “find their community at college”, to remember that no one gets through college or life alone- ask for help when you hit those walls. Getting in to college is just the beginning and know that everyone who has supported you is proud of you and will continue to lift you up!” Mrs. Obama reminded seniors that the number of college acceptances is more important than the number of followers on social media. She challenged seniors to prepare to be the next generation of leaders. 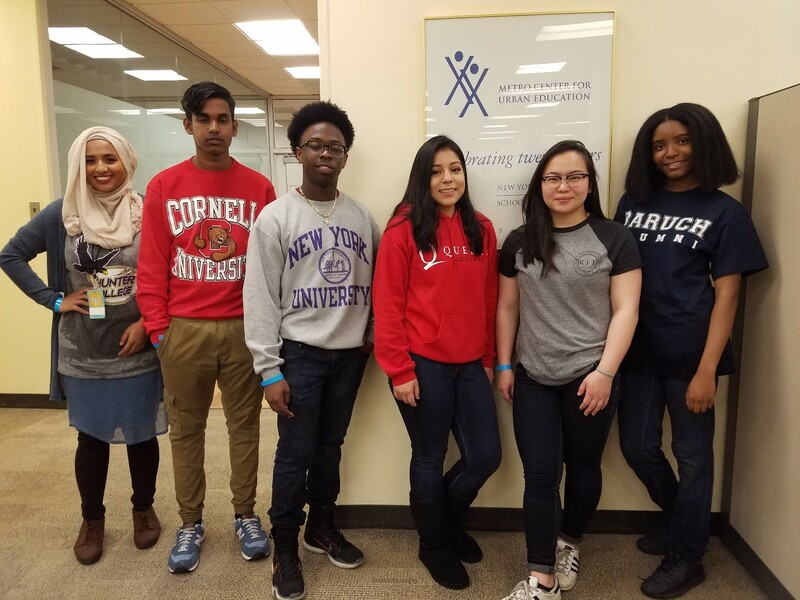 College Signing Day was a highlight for NYU College Prep Academy students Matthew Arthur who will be attending Cornell; Maliki Charles who will be attending Buffalo State; Vicky Ge who will be attending Rochester Institute of Technology; Cassandra Thoby who will be attending Baruch College and Marjory Moreno who will be attending Queens’s college. The Event was livestreamed on MTV’s Facebook page. To see additional photo and video, please click here.